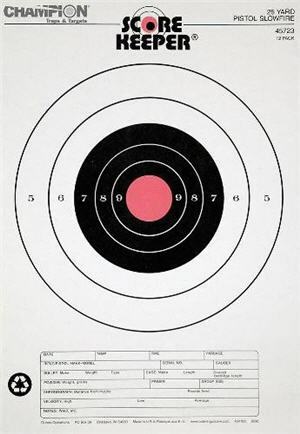 If you want to shoot at some of the most boring targets ever printed, use some “official” targets from [fill in the blank] or use the target that some ranges provide for free. Let’s face it folks, we now live in an “entertainment society”; if it isn’t fun, we won’t do it. 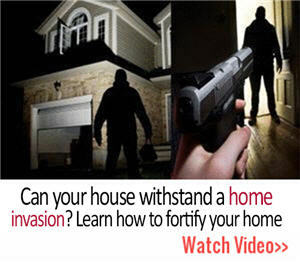 You may desire feedback on just a couple of rounds and not want to expend a full mag, or… WAIT however long for a range-wide cease fire to check a target. The first “better” pistol target is pretty much a standard bulls-eye style target but has a real nice bright orange center for the bulls-eye. This is nice for anyone, but older eyes especially can appreciate something easy to see, even in the mid to late afternoon shade of the outdoor range. 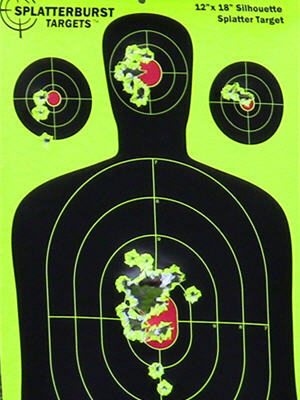 Not everyone is a professional shooter; your average indoor range doesn’t even have 25 yard distance as an option. This is a great 7 yard target for the average concealed carry shooter to sharpen his or her skills or just have an enjoyable outing at the range. Note the area at the bottom to DOCUMENT your shooting. This is something I admit I have been TERRIBLE about in the past but working on! In the IFR 4X Pistol Shooting Accurizer System™ I not only recommend this target, I use it in some of the videos on the range and try to emphasize filling out that info at the bottom. SplatterBurst reactive targets are a whole lot easier to see where your shots land, using peripheral vision, without taking your focus off the front sight. Besides just being more fun, and not requiring a trip to the target or spotting scope most of the time, they help a person who has the problem of wanting to check each shot by taking focus OFF the front sight between shots and not re-focusing on the front sight for the next shot. Yes, these targets are more expensive, yet I feel they are fairly priced – especially if you buy in the 50 pack. Anyone with older eyes will appreciate these “hits” practically jumping off the page at you, yet even millennials have shown glee when shooting at these instead of the standard, boring, paper target. There is no better way to apply a pistol correction chart to your shot groups than to actually shoot at the chart itself! Here is one that is available in either left-hand or right-hand shooter orientation, with a nice orange bulls-eye to boot. 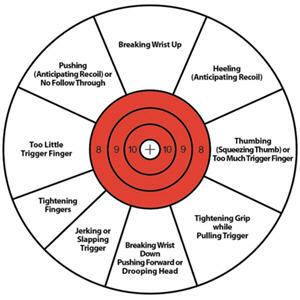 I have an entire lesson module on the pistol correction chart in the IFR 4X Pistol Shooting Accurizer System™. This target is available at Amazon at a relatively inexpensive price. For pistol shooters who have invested in land suitable for a shooting range, steel targets can be a boatload of fun as you have probably seen on popular YouTube channels. Since they are normally 3/16″ steel MINIMUM with smooth cut edges and shipping is a bigger factor than paper – hang on to your wallet! Safety: Steel targets typically are safe as long as there are no “edges” that are not smooth cut (so I am told); these Scorpion Gear targets it’s advised to be no closer than 10 yards with a pistol, I think others suggest 11 yards for steel shooting. 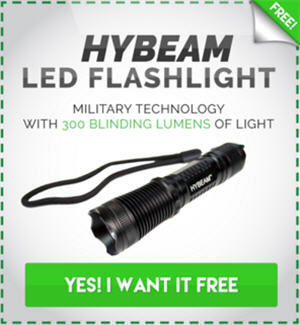 In my former life in the technology world I would “decommission” computer hard drives by shooting at them. Quantum drives had the thickest shell, so much so that a .45 at 5 yards would often not penetrate, simply leave a large dent! On one occasion, one of those .45 slugs did bounce back and hit me in the leg. Not painful at all, just a good reminder to always wear safety glasses and maybe stand back just a tad further! Steel gongs are really popular since they are probably the least expensive steel pistol target. Tactical Scorpion Gear has these laser cut 3/16″ round targets in a variety of sizes, surprisingly with free shipping from Amazon. 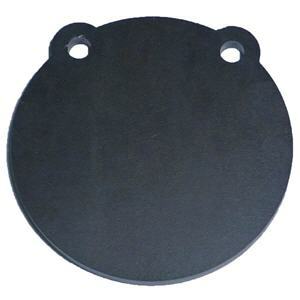 Round gongs from 3″ to 12″ and even a IDPA silhouette (12″x20″); The 4″ is actually the cheapest as I look today, at $11.99. The silhouette the most pricey at $69.95. I think the 6″ gong at $14.95 is the most steel for the money. WARNING: These are 1/2 the thickness of what Hickok45 uses in his videos, he gets 3/8″ minimum from what I can tell, and gets many from arntzentargets.com where about the cheapest steel target will be over $100. So don’t shoot these with a rifle! And follow any/all safety tips provided by the manufacturer.